Here’s one about a business that was completely turned around because of inbound marketing—the type of marketing that invites people in and gives them something they want. Here’s proof that inbound marketing doesn’t need to be complicated to work! The year was 1936. Ted and his wife Dorothy had been trying to make a go of their drug store for five years. It was doing ok, but wasn’t the success they’d hoped. One day Dorothy had an idea to try to attract some customers. She told Ted they should make some signs to put up along the highway advertising free ice water. So Ted and a local boy made a few signs. Because it was a hot day in July, people started stopping by their drug store before Ted and his helper had even finished putting up their signs. Free ice water? You bet! Some just stopped for the ice water, but others made a purchase, too. An ice cream cone, a soda. Ted and Dorothy spent the rest of the day filling glasses of ice water, selling ice cream and giving directions to those who stopped by. 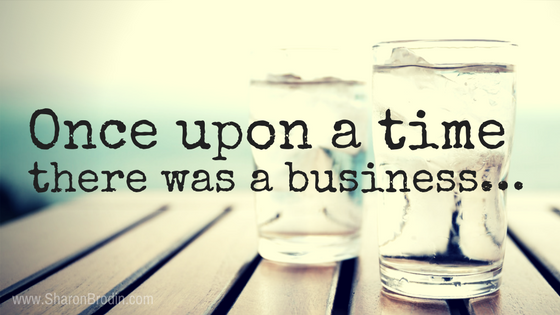 They stuck with their idea, and soon added a 5¢ cup of coffee. The next summer they had to hire eight girls to help them. Now, a few decades later, Wall Drug in little ol’ Wall, South Dakota sees up to twenty thousand people come through their 76,000-square foot emporium on a good summer day. Even today, Wall has fewer than 1,000 residents. Ted and Dorothy knew they’d need more than the townsfolk to make their drug store a success. So they targeted the travelers driving by Wall on their way out or back from the mountains and western national parks. Water, ice, a hot day and their location close to a main highway. The word “free” is one of the most powerful words in the English language! Ted and Dorothy were generous with something easily available to them—and something people wanted. Lots and lots of people stopped for the free item. And because some of those people also purchased things, Wall Drug became a thriving business—to the tune of $11 million in annual revenue today. Ted had an another idea while vacationing in London, England some years later. He posted a sign there that said: Wall Drug—5,160 miles away. Today there are signs all over the world telling the distance to Wall Drug, including Afghanistan, China and even Antarctica (9,333 miles)! How’s that for brand awareness?! I’m sure Ted and Dorothy had other ideas that didn’t prove so spectacular. But these two—ice water and signs—were game changers for them. They had no way of knowing which of their ideas would work, but they weren’t afraid to go after them. By the way, Wall Drug still offers free ice water and 5¢ coffee…and now you can get a free bumper sticker, too. 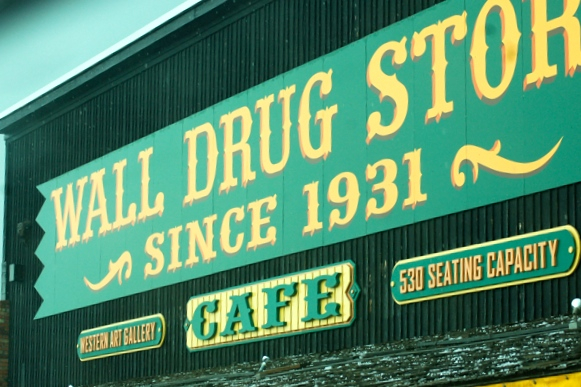 A personal note: We’ve been to Wall Drug twice with our family on our way out or back from the West. It’s a pretty fun place! It’s conveniently located just off Highway 90, 10 minutes from Badlands National Park and an hour from the Black Hills. You should go there once in your life!